It’s never too early to get excited over Halloween and with the special and spook-tacular news that Nickelodeon recently brought out, we definitely wish it was October already! SpongeBob SquarePants is, without a doubt, one of the most iconic shows on this planet that generations after generations love watching, and now, we all have something incredible to look forward to this October from some of our favorite friends down in Bikini Bottom. Nickelodeon just recently announced that it will be bringing out a stop-motion, animated special titled, SpongeBob SquarePants: The Legend of Boo-Kini Bottom. It goes without saying, we’re totally so excited for this special to make its way onto our TV screens in a few months. 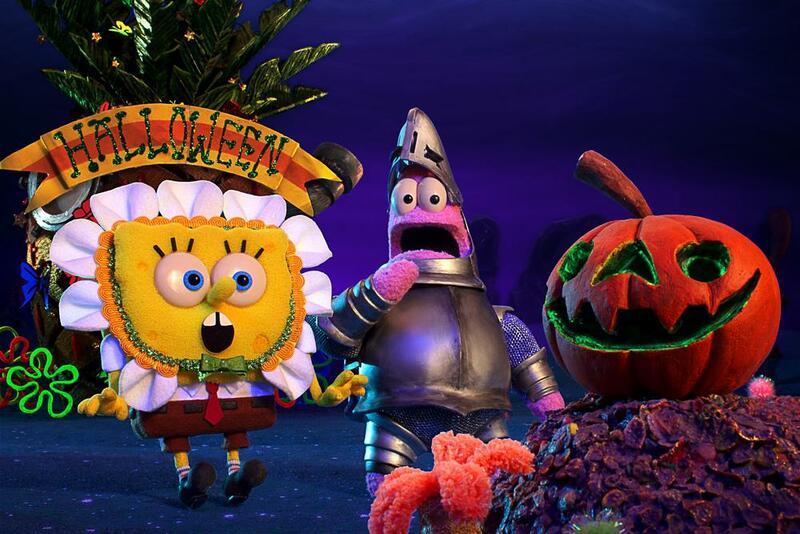 SpongeBob Squarepants: The Legend of Boo-Kini Bottom will feature our favorite characters all dressed up and decked out for Halloween. SpongeBob will be a flower, Patrick will be a knight, Sandy will be a mad scientist and Mr. Krabs, well, you guessed it, will be dressed up as a dollar bill. The outstanding special will even have an original song titled, “The Scare Song,” which will be performed by the Flying Dutchman’s crew of pirate ghosts. We can’t even put into words how thrilled we are over this phenomenal special and we are going to be counting down the days until it is October and we can officially get our spook on with this awesome special. Comment below and tell me or tweet me at @alexisjoyvipacc, are you excited for SpongeBob Squarepants: The Legend of Boo-Kini Bottom? Previous Article: Nickelodeon Has A Lot Of Excitement Planned With Its Iconic TV Shows At San Diego Comic Con – Details Here! Next Article: “Rocko’s Modern Life: Static Cling” Reunites The Original Voice Cast To Reprise Their Roles!